There are many occasions that make people want to give flowers, such as birthdays, graduations, holidays, and successful artistic or job performances. We love that men and women, young and old, enjoy the beauty of flowers so much that they want to share them with those who are special to them. Flowers make perfect gifts to express the feelings of the heart because they’re beautiful, just like the thoughts that go with them. If you’ve ever wondered why most people give flowers, you’re going to find out. We’ve put together a list of the most popular occasions to give flowers in case you’re looking for a reason to brighten someone’s day with a lovely bloom (or two or three). We can think of more than a handful of reasons one might want to say “thank you” to another, including “thanks” for babysitting, a ride home, lunch, or a job recommendation. Some nice flowers to give if you want to say “thank you” include roses, chrysanthemums, irises, and sweet peas. Giving flowers for a wedding anniversary is a tradition that many married people take part in. It can be all kinds of fun to see your spouse’s beautiful face light up when receiving beautiful flowers. Offering flowers for a wedding anniversary, as a symbol of your ongoing love, is a sweet and caring gesture that shows you want to continue to give from your heart to a marriage that’s so important to you. It can be difficult to see someone in pain, so many people like to do what they can to cheer up another by sending flowers for sympathy. The hope is that the recipient might focus on the beauty of the flowers for just a bit and find joy in their heart, for at least a moment, even if they’re dealing with something horrible. You could send sympathy flowers to someone who has lost a loved one or a beloved pet, or who is grieving for another reason. Other popular occasions that call for sending flowers include a baby’s arrival, a date, and Mother’s Day. 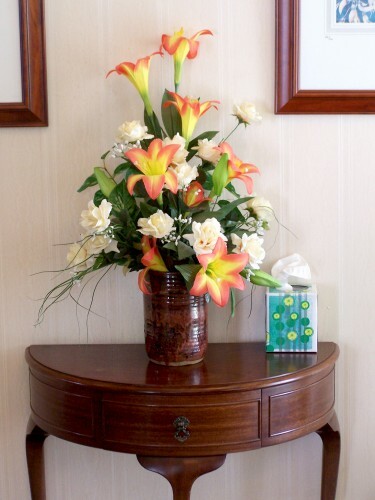 Do you regularly send flowers for any other events or special times in life? We’d love to hear about your experiences and what types of flowers you send. There are many occasions that make people want to give flowers, such as birthdays, graduations, holidays, and successful artistic or job performances.We love that men and women, young and old, enjoy the beauty of flowers so much that they want to share them with those who are special to them.Flowers make perfect gifts to express the feelings of the heart because they’re beautiful, just like the thoughts that go with them.